Lily’s willing to do whatever it takes to save Canyon’s life. But what if the one thing he needs—her love—is the one thing she can never give? Available from Amazon, iBooks, kobo, Google Play, and BN. How are you supposed to save the life of a man that keeps saving yours? 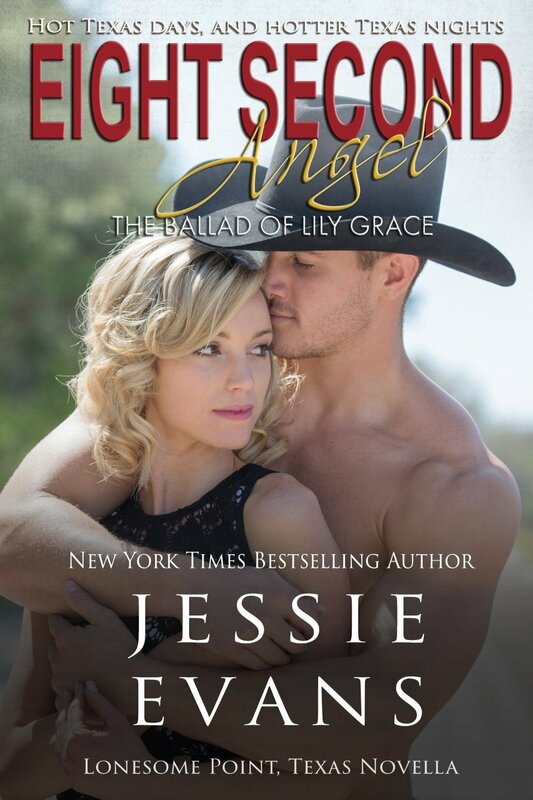 Lily Grace was on borrowed time to save Canyon’s life. After her tragic death, and lingering in her after life, she was given the opportunity to join the land of the living to help Canyon see that life was worth living. Canyon was a man with a dark chip on his shoulder. He carried around the pain and guilt of his six year old son’s death. His guilt so overbearing, he didn’t feel he deserved the right to live. So he was taking matters into his own hands. Come Sunday he was checking out. Lily had four rules: 1. She had to move quick, since she didn’t have enough time. 2. She had to do whatever it took to get the job done. 3. Her charge would be the first person she met. 4. Lily wouldn’t remember who she was in her previous life. There was just one problem… She remembered. Everything. Her life. Her love. And the one thing she’d never gotten over, leaving her two boys behind. All Canyon wanted was to have enough money to leave his ex-wife to pay off her ranch. He wasn’t looking to let someone in because he wasn’t planning on sticking around. His life was going to end and that was the bottom line. No one was going to change his mind. No one. What I love about this novella is that these two tragic people, at their worst time, found each other. Sure Lily was sent to change his mind about doing something so final to himself, but what really happens is they save each other. This book is filled with a lot of heavy moments that will make you cry and will make you think. Thank you Jessie Evans for this story, and for once again making me ugly cry on the subway. I give this book 4 Nerd Glasses out of 5. Just because I wanted more of Lily and Canyon. Yup I’m greedy like that. Have you read Eight Second Angel? Share your review with us below, or on social media by using hashtag #nerdandlace. Also, follow us on Instagram, Facebook, and Twitter. Heads up, the faster we get to 1,000 followers, the faster we could host the giveaway. So, make sure you are following us on Instagram.